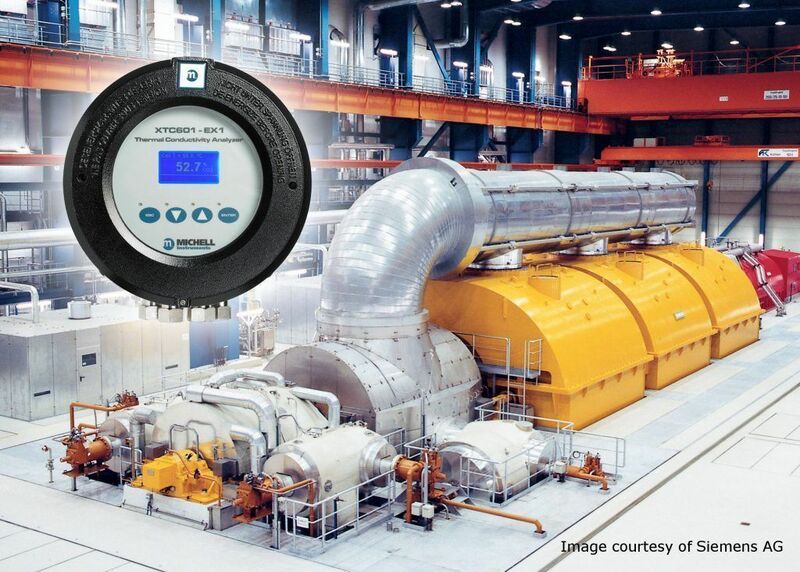 Michell Instruments has added an analyser dedicated to monitoring hydrogen-cooled electricity generators to its current range of moisture and oxygen analysers. The new XTC601 for hydrogen cooled generators has been designed with three phase profiles to cover all of the gas analysis requirements for operation and maintenance. Hydrogen is used as a coolant in generators because it is the most efficient cooling agent available, having the highest thermal conductivity of all gases, allowing it to quickly draw heat away from the stator. A secondary benefit of using hydrogen is its low density, which reduces drag on the brushes making the generator work more efficiently. High-purity hydrogen is required for the cooling to be effective, as well as for safe operation. As it is not possibly to hermetically seal the generator set casings, there is always the potential for moisture ingress from the surrounding air. Too much moisture in the system not only reduces efficiency but also introduces the risk of arcing and damage to the generator. Too much oxygen could cause an explosion. As well as monitoring the purity of hydrogen in operation, operators also routinely purge the system with CO2 to remove all the hydrogen safely, before carrying out scheduled maintenance. Normal operation: H2 Purity (air as the contaminant). Providing continuous, online measurements of the atmosphere within the generator. Purging H2 with CO2. Indicating when all the H2 has been removed from the system before routine maintenance – vital for safety and avoiding risk of explosions. The analyser has three calibration maps to enable measurement in each of the above gas mixtures. Switching between them is simple using the integrated HMI or via an input from the plant control system. Having just one analyser to monitor each of the phases reduces installation costs and capital expenditure. As with all of Michell’s Thermal Conductivity analysers, the non-depleting sensor makes it highly cost-effective over its lifetime as there are no consumable parts to replace.